The mysterious crystal foxes in Star Wars: The Last Jedi have been given a name. Much ink has been spilled about the Porgs in the latest Star Wars movie, but fans have been very curious about these mysterious fox creatures ever since they debuted in the full-length trailer. Now, we know that their proper name is a Vulptex, or Vulptices, for plural. In addition to their name, some new information on the Vulptex has been revealed. The new Star Wars creatures inhabit the planet Crait, which is set to make its debut in The Last Jedi. The creatures are said to "run across the salt flats and burrow deep within the crevasses of this former hideout for the Rebel Alliance." The planet dates back to the events of the original trilogy, in terms of Star Wars lore, but it's new to fans and these creatures are going to be part of what makes it stand out. Vulptices have come to roam free through the abandoned Rebel Alliance structures on the planet Crait, which explains why we see them running toward the base in that shot from the trailer. As Neal Scanlan, head of the Star Wars creature shop, explains, "The idea is that these wonderful sort of feral creatures had lived on this planet and had consumed the planet's surface, and as such had become crystalline." He also says their design inspiration came from crystal glass chandeliers. Scanlan also explains how they were able to bring these crystal foxes to life in The Last Jedi. "We had a little dog come in and we built a little suit for it, and we covered that suit with clear drinking straws. It was amazing to see him run around. It could run and jump, and it had this wonderful sort of movement to it. It had a great sound to it, as well, because all the little straws moved and flexed with the animal." According to Neal Scanlan, that information was used to help them craft the Vulptex. From there, actual animatronic puppets were made that will be seen on screen with actual actors. The team also used this information to build digital models of the Vulptex. The creatures were designed by Aaron McBride and the name comes from the Latin word for fox, vulpes. The idea came from Lucasfilm story group's Pablo Hidalgo. Scanlan also hints that these creatures will play an important role in helping the heroes in Star Wars: The Last Jedi. "They live within the burrows and within the tunnels beneath the planet. So there is a time where their ability to shine within the darkness, should provide a guiding light to our heroes." Director Rian Johnson is clearly going to introduce a lot of new stuff into Star Wars lore in this movie. Porgs may be getting all of the attention now, but it's a safe bet to assume that the Vulptex will be a huge hit with fans after Star Wars: The Last Jedi arrives on December 15. 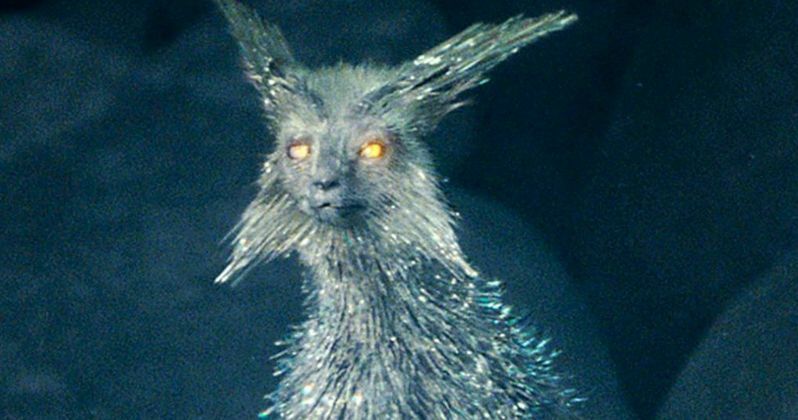 You can check out a brand new photo of a Vulptex, courtesy of Entertainment Weekly, for yourself below.